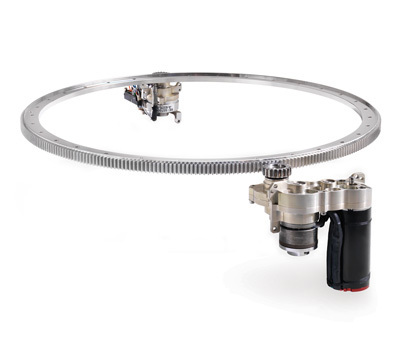 Reliance specialises in high accuracy, fine pitch gears for specialist servo, measurement and actuation mechanisms in aerospace, scientific, medical and instrumentation markets. Our heritage derives from over five decades of pioneering work in product development, manufacture and metrology. Reliance offers a flexible range of services including concept design, detail design, design analysis, application modelling, diagnostic investigation, product development and prototyping, low to medium volume production, assembly and testing. Our standard range of commercially available gears. View our range of standard gears. 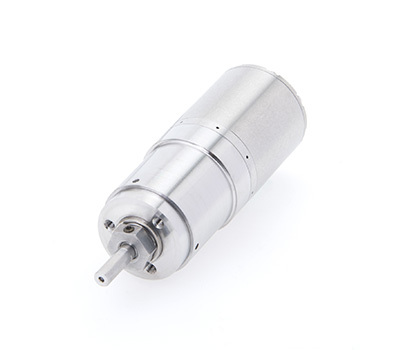 Fine pitch, high precision gears, specific to customers’ individual requirements. Bespoke measurement and actuation mechanisms for servos, instrumentation, scientific and aerospace systems. 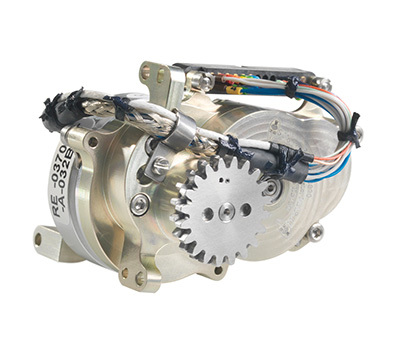 Standard and custom designed motor gearbox solutions for space applications. Alongside our extensive range of standard catalogue gears Reliance also designs and manufactures bespoke gears to customers’ requirements. Reliance has over 60 years’ of experience in gearing, ranging from high accuracy, long life applications such as radar and optical payload applications, to very short life highly loaded aerospace applications. Gear specialists at Reliance are very happy to offer advice on the design strategy for custom gears and can help with datum positioning and dimensioning to achieve the best possible accuracy at the most economical cost. For example, simply utilising the mounting feature of the gear as the datum for the gear cutting operation avoids unnecessary tolerance build ups and interim manufacturing operations. Reliance’s engineers have a detailed knowledge of the principles of gear tooth generation and the resulting contact conditions. 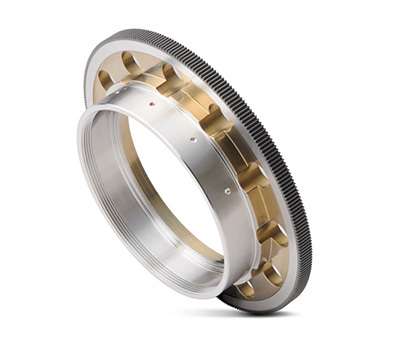 This enables them to work with engineers in other industries to offer advice on the modification of gear teeth to provide bespoke contact conditions that enhance the performance of the gear pair, or to achieve an imposed centre distance within the constraints of the design environment. Typical market areas are aerospace, space, defence and down-hole instrumentation where performance-critical applications demand a deep understanding of gear geometry. Both external, internal and combination gears can be manufactured using high accuracy hobbing and shaping machines with a module range of between 0.2 to 1.5 module and a diameter range from 2 to 330 mm. 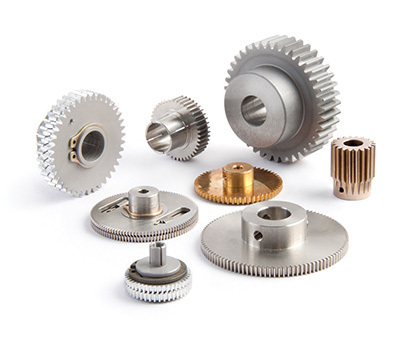 Custom gears can be manufactured from a range of materials such as, but not limited to, stainless steel, aluminium alloy, precipitation hardening steel, phosphor bronze, titanium and other speciality metals, as well as high performance polymers such as PEEK. Reliance also works very closely with accredited and formally approved surface coating and heat treatment specialists to provide most industry standard processes. During manufacturing all gears are individually inspected for gear quality and size using a dual flank inspection process with maximum accuracies of 3 microns tooth-to-tooth and 5 microns total composite error. For demanding applications gears are inspected for lead, pitch and profile on our Klingelnberg P40 gear measuring machine. Behind each of these examples is a fundamental understanding of gear engineering, combined with a manufacture and test philosophy that allows us to analyse systems and measure performance. 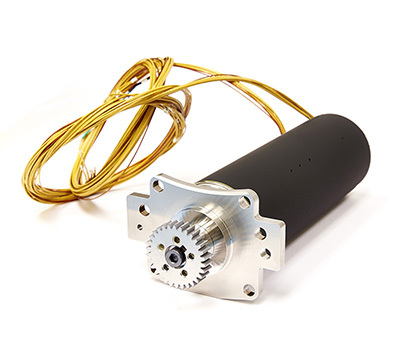 Stepper motor gearbox for a satellite mechanism application. 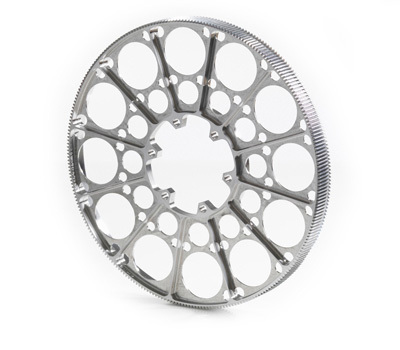 We are skilled in working with challenging geared applications with design requirements dictated by existing input/output locations, a limited spatial envelope or a critical mass budget. We work collaboratively with our customers’ engineering teams, supporting system-level design activities from feasibility and concept studies through to design for manufacture, prototype development and production. 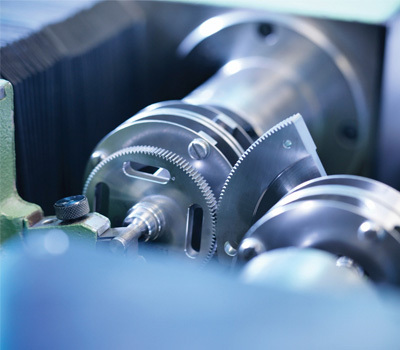 When international standards are not suited to the gear application, we are able to draw upon our expertise and experience in the design and manufacture of geared systems, taking advantage of specialist, non-conventional gear design techniques. Short-life gearboxes are one such example; this falls outside of general gear design, but we are able to apply our empirical test performance data and gear knowledge to provide optimal solutions, saving significant mass and spatial envelope. Knowledge is at the heart of Reliance’s technical capability and this has developed as a direct result of our commitment and investment in inspection and test. Component inspection is carried out using a comprehensive range of equipment including master quality gear artefacts and a Klingelnberg co-ordinate measuring machine. Not only does this allow us to assure the quality of our manufactured components, it also allows a much deeper insight into our processes and machine tool performance. We carry out 100% inspection during the manufacturing process on every gear we produce – the best way to guarantee the quality. Having been involved in high accuracy measurement gearboxes since 1955, Reliance has made significant investment not only in metrology equipment but also in testing techniques. We have developed our own procedures for measuring transmission error of a system, whether that system is a customer’s mechanism, one of our own machine tools, or a component undergoing an endurance test regime. In production, this allows us to evaluate the errors, and determine whether a system is within specification or not. In a development test environment it allows us to analyse wear performance, system deterioration, determine stiffness characteristics, and identify failure modes, often before they occur.